Javier Marinez, M.D. joined IDC in 2011. He received his medical degree from Universidad Nacional Pedro Henriquez Ureña, Miami, FL; trained for Internal Medicine at Jackson Memorial Hospital, Miami, FL; and trained for Fellowship in Infectious Diseases at the University of South Florida School of Medicine in Tampa, FL. 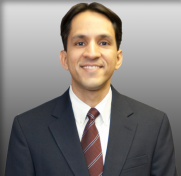 Dr. Marinez is Board Certified in Internal Medicine and Infectious Diseases. Prior to relocating to Florida, Dr. Marinez served as Active Staff at Gila Regional Medical Center in Silver City, NM. He is a member of the American College of Physicians, the Infectious Disease Society of America and the Florida Infectious Disease Society.